I’m finding myself more and more irritated with sitcoms and commercials these days. So many of them portray dads as bumbling fools who can’t be trusted to take care of their kids or share in the housework. And even if they’re respected in the workplace, at home they’re childish and selfish and their wives chastise them in front of the kids on a regular basis. I don’t know which causes me to get more upset: the way men are portrayed or how women react to the men. Betsy Corning has heard George Barna speak many times and according to research done by the Barna Group, most kids have developed their worldview by age thirteen. A worldview is the lens through which we see life. It affects how we view the world, culture, family, church, God. My seven-year-old will have a well-developed worldview in less than six years! Realizing this has made me think more deeply about some things. Not only will my kids have developed their worldview about the world, culture, etc., but they will also have a worldview about the home and how it functions. So, what do they see in our home? How will my actions and my husband’s actions influence them? How do Jason and I treat each other? Do we show each other love and affection? Do we display core truths of the Bible? Do I honor Jason? Even in the little things, do I act in such a way that shows our kids that I love and respect Daddy? Overall, the answer is yes. But recently, I’ve done a few things that, in retrospect, are not a positive influence for my kids. Yes, they’re small and might seem insignificant, but those are the things kids pick up on! A couple weeks ago, Jason took the kids to school because I was sick. I let our three-year-old, Hunter, take his stuffed fox in the car on the way to school. He leaves it in the car and then it’s there when I pick him up after preschool. As Jason was getting the kids ready to go he told Hunter to leave his fox at home. I corrected Jason in front of the kids and told him that I let Hunter take his fox in the car. There have been a few other instances like this. Like I said, they’re not big deals, but I’m correcting Jason in front of the kids. I felt convicted about it so I apologized to him. As I’ve been pondering how my actions with Jason influence my kids, I’ve also become aware that not only are my actions with him significant, but my actions by what I choose to let our kids be exposed to are significant. I’m a Food Network and Cooking Channel junkie. I don’t like to cook, but I like watching others cook. So while the shows I have on aren’t an issue, the commercials can be. The kids will see commercials where wives and kids are rolling their eyes at Dad because he tried to fix the leaky faucet but made a mess or he forgot to pick up someone from soccer practice. Even these commercials, as short as they are, can be a negative influence as my kids are developing their worldview about family life. Granted, the kids are usually playing with toys or watching a video on our iPad so they’re not focused on the commercial. But it’s still there in the background. I need to show my kids that I’m for Jason. That’s something Betsy focused on the last couple weeks at our Entrusted Bible Study. (If you haven’t gone through the study, find one or start one – you won’t regret it!) I need to let Jason provide, protect, and lead our family. I want to be like the Proverbs 31 woman – doing him good and not evil all the days of my life. Why? Well, first, the Bible commands it. Second, it strengthens our marriage. And third, it shows our kids what marriage should look like. It will help them develop a healthy and biblical worldview about family and home. As with everything in my life, I will mess up. But even in those times I’m not the best wife I should be, when I apologize to Jason in front of the kids, that too will be a positive example of how the family should act and will help our kids develop a biblical worldview. Posted on December 4, 2018 by Tami Stevenson and filed under Building Your Family and tagged parenting. To be perfectly honest, I am the “go-getter” when it comes to family matters in my home. I have been envisioning this phase of life since I played with my dolls as a toddler and named myself “Mrs. Judy Davis” after a Tide commercial. I love being a mom. My husband always knew he wanted kids, but that was as far as the daydream went. He pursued a career, he prayed for a wife, God answered…. And then seemingly all of a sudden four kids were clamoring to sit in his lap. If he doesn’t get poked or prodded upon every encounter, he is lucky. Then the pour guy got diagnosed with an autoimmune disease that zaps his energy. If he makes it to the kids’ bedtime without falling over, we are winning. This may not be your family situation, but perhaps your husband isn’t the CEO spiritual leader you were expecting. What does it look like when the wife tends to have a more strategic vision for the family? Does it mean my husband isn’t our spiritual leader? No. I think we have a very narrow-minded view of what spiritual leadership looks like. 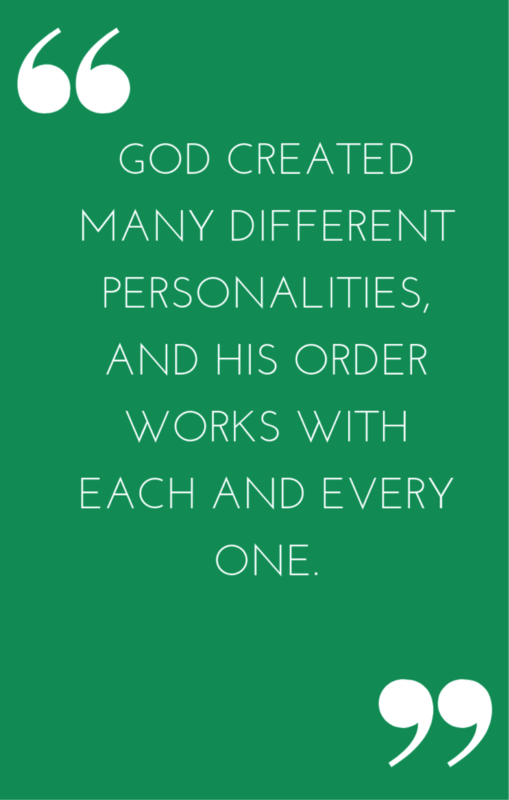 God created a lot of different personalities, and His order works with each and every one of those. Sometimes our expectations of what it “should” look like are not from God’s Word. I challenge each of you to pray for your husband to lead biblically. In the meantime, if you have unmet hopes for him taking the wheel, try to discern if they are rooted in biblical truth. If you are seeking wisdom in this area, Entrusted With a Child’s Heart: A Biblical Study in Parenting, truly is based on the biblical standard. This is an excellent resource to guide you. Perhaps you have a husband who isn’t there yet… Keep praying, and maybe he is more ready than you think. Give the Man a Fish. We all know the Chinese proverb, “Give a man a fish and you feed him for a day. Teach a man to fish and you feed him for a lifetime.” I must confess that I have been waiting for my husband to learn how to fish, when he just needs me to throw him some snapper. Sometimes we want our husbands to do the whole process of leading, but what our families need is his engagement and willingness. I want to propose that we act like the helper we were created to be, and we throw those guys a fish instead of always expecting them to “learn to fish.” Right now it looks more like, “Get that frozen fish out of the freezer, cook it, and hand it to your husband.” And he’s a good eater, so I’m giving it to him. Let me share some examples. And he does it. Later I asked him if he felt I was bossing him around to ask him to do that. He didn’t think that at all. He was thankful for the opportunity. It turns out that most men do not stand around and talk about what Bible stories they are reading to their kids lately. As Christian women, we are flooded with great options… sometimes we have too many books to pick from and we are overwhelmed! Is it wrong to provide our husbands with a great book so our kids can see him leading? I don’t think so. If he has it in his heart to lead, don’t force him to complete the whole process. Sometimes your gentle “nudge” will get you where you want to be faster than you wishing and hoping he’ll be someone he isn’t. It was typical for us that whoever put the kids to bed would pray over them. Now we sit in a circle most nights, and we each take a turn praying. Travis closes the prayer for us. When my sons hear their daddy honestly approaching the Lord on our behalf, they are learning to be prayer warriors and spiritual leaders. Does it matter that it was my idea? No. Not.at.all. It wasn’t complicated, and we had some great discussions along the way. I also got to see Travis’s heart in wanting to lead… and he heard from someone else how crucial his influence is. Mwahahahaha, Mastermind Steph strikes again. Sometimes I worry about my baby getting diaper rash because Travis forgot to change her while I was gone. Or maybe he’ll give my son a food he’s allergic to. Or maybe they’ll all starve because every time I get back home the kids famishly greet me and say they haven’t eaten. (I hear this is typical for men, so I’m not husband-bashing, just being real.) They are always still alive when I get home, and they are probably learning valuable life lessons about not having their needs met immediately. Once I was away and my husband sent me a picture of his three “Mighty Men of Valor.” One of them was struggling with fear, and Travis was teaching them a Bible lesson. I didn’t set it up. And it probably wouldn’t have happened if I was home. Another time, and another moment of fear struck while I was away. Upon calling to check in, I found out that Travis was teaching our oldest Joshua 1:9, “Have I not commanded you? Be strong and courageous. Do not be frightened, and do not be dismayed, for the Lord your God is with you wherever you go.” I don’t think this would have happened if I had been home to “take care of everything.” If we want our husbands to lead, we have to get out of the driver’s seat. Now whenever I leave, I give clear instructions for dinner and snacks… and sometimes it feels like I am prepping for a babysitter. But it’s okay. I didn’t marry the man so he could make gourmet meals for our kids. If setting out an easy dinner frees him up to build into them, microwave away those chicken nuggets, Babe. The win for me is that we have now decided I will leave for a couple hours every few weeks to go get tea, read my Bible, and plan for homeschooling. I am getting refreshed, and my kids are getting more time with their dad. As a mom of four I work really hard to pour into my kids as individuals. It is a lot of work to make sure no one fades into the background. I like to take them on dates or errands as much as possible. Recently I realized they do need individual attention from me, but they need it more from their dad. As much as I’d like to be the one to take Ryder out for ice cream and 20 Questions, he needs a strong relationship with his father. This revelation came right after I had created a brand-new schedule for our season of life. I had adjusted everything around the baby’s naps, homeschooling, co-ops, etc… It turns out that Saturday mornings are the best time for Travis to have dates with the kids. Good-bye free morning with errands… I realize that I need to move my errand time to a weeknight after the kids go to bed (or take the other three for all my errands which happens a lot but is not nearly as efficient!). It’s not my preference, but I think the end result is so worth it to me. Now I plan on cleaning the house on Saturday mornings while the baby naps, and I will be teaching the other two boys to clean. Honestly it is a lot easier training two kids to clean than three, so it’s okay. Go out for cheap ice cream cones. Do a workshop at Home Depot. Go to library and let the child pick out their favorites. Go play at a park. Go out for breakfast (the cheapest meal of the day!). Look for sports opportunities through the rec center that allow for a parent and a child to participate. Also, we have the boys have “Work Dates with Dad” too. Maybe they help weed or go to the hardware store for supplies. It doesn’t have to be elaborate, and it’s okay to have them have a realistic view of life. They need to contribute to your family too. I also asked my husband if he would like me to print out some questions to ask the kids to have in his wallet. Instead, Mr. Technology prefers to use his phone. :) I may still remind him to use the list, but he is willing and set up for intentionality! 4. Give him credit in front of the kids. My kids may not see one of the most pivotal ways Travis leads our family. He is a rock when I am anxious. When the kids are in bed, and I pour out my worries to him, he prays with me, and he often helps guide me to make decisions that are rooted in faith. When the storm of my fear passes, and all my kids see is a calm mom, they need to know their father was part of the solution. Also, Travis falls asleep every night listening to God’s Word. I want my kids to know that. These are things I can tell them about because they may not see it otherwise. How is your husband leading your family? Is it emotionally, mentally, physically, financially? Ask God to give you eyes to see who he is and who he was created to be…. And then give him grace in the transformation. Hebrews 10:14 says, “For by a single offering he has perfected for all time those who are being sanctified.” God is challenging me to give myself grace and live by the mighty work of the cross. I need to extend this grace to my growing husband too. How about you, Mama? Posted on September 26, 2018 by Stephanie Hickox and filed under Building Your Family and tagged parenting marriage. I’ve watched my parents be parents for forty-one years. And now that I’m married, have kids of my own, and am more mature (some days), I’m keenly aware of how fortunate I am to be their child. They’ve created a legacy for my sister, brother, and me, and they’re helping us create a legacy for our kids. And you know what? 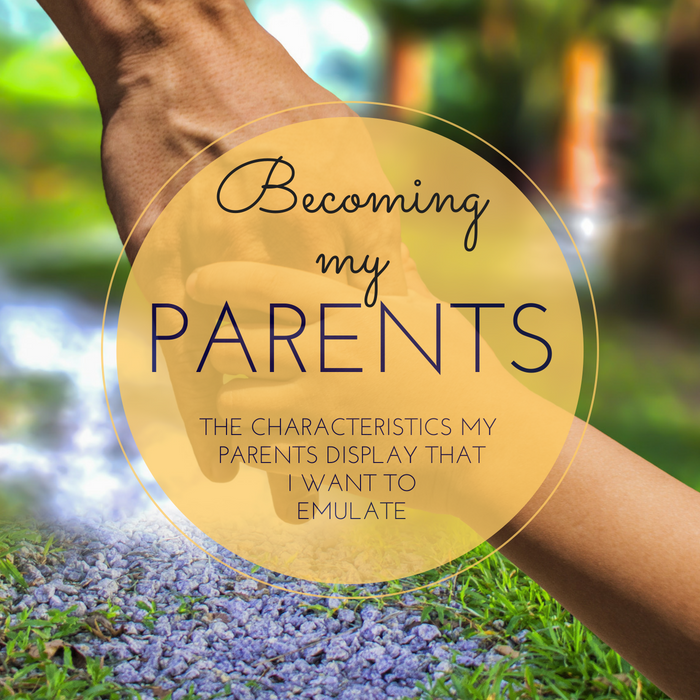 I hope that I become my parents because they raised us (which was no small feat) and we would all say that we are who we are because of the Godly example they have given us. “And these words that I command you today shall be on your heart. You shall teach them diligently to your children, and shall talk of them when you sit in your house, and when you walk by the way, and when you lie down, and when you rise” Deuteronomy 6:6-7. My parents always put us first. They made many sacrifices so my siblings and I could go to Christian schools. I didn’t understand the depth of the sacrifices back then, but I do now – and I’m happy to do the same for my kids. My dad worked full-time in addition to getting as many freelance jobs as he could get to make ends meet. Right now, my husband works 50+ hours a week between his full-time job and part-time job and I work from home as an online faculty member for a Christian college as well as getting every freelance job I can so we can keep our kids in a Christian school. Why? Because my parents believed God wanted us in a Christian school and we believe the same for our kids. We do what we have to do. My mom and dad were always faithful church attenders. But they didn’t just go to church; they lived out the truths of the Bible every day. By making their faith a priority, they made us a priority. We learned that God comes first, then family, then everything else. And we learned how to serve. My dad’s motto is that when he serves, he arrives early and stays late to make sure that everything is done well. “Behold, children are a heritage from the Lord, the fruit of the womb a reward” Psalm 127:3. They knew where we were and who we were with all the time – and this was before cell phones were around. We had to tell them what was going on and they would then tell us what time to be home. It varied based on what we were doing, but we were usually with our youth group or kids from our Christian school so they were ok with us being home around 10:30 or 11. But we were never allowed out past midnight. Why? Because my dad says that nothing good happens after midnight. He’s right. My parents didn’t drop us off at the mall unchaperoned. That made me so mad because everyone else got to walk around the mall without their parents – at least it seemed like everyone else did. But they said no. And now that I have kids, I wouldn’t drop my kids off at the mall either. I understand why they said no. Kids are precious and there’s no reason to take an unnecessary risk. While there were times when it felt like they just didn’t want us to have fun, I now understand that they were protecting us. And my husband and I will protect our kids the same way. “The steadfast love of the Lord never ceases; his mercies never come to an end; they are new every morning; great is your faithfulness” Lamentations 3:23. My parents were and are givers. They give of their finances, their time, their resources. They give so much to me even as their adult child. They help us send our kids to a Christian school. My mom will ask what I need at the store and pick up things for me while she’s shopping for herself. They’re our babysitters – or as my mom likes to say, they’re our grandsitters. My parents have set the ultimate example when it comes to tithing. Even though money was tight, my parents tithed. Faithfully. And now I see how God blessed them because of their faithful giving. They drove older cars, but I’ve lost count of how many of those cars were given to them or they purchased cheaply. My dad knew how to fix cars so no car was too far gone that he couldn’t resuscitate it. They gave faithfully and God faithfully provided for them in countless ways. My mom says that people don’t stop being parents when their kids get married and have their own kids. They learn to parent in a different way. But they’re still always parents. I pray often that I will emulate to my precious kiddos the same love, devotion, and faithfulness that my parents have shown me. I pray that I will become my parents. Posted on June 20, 2018 by Tami Stevenson and filed under Building Your Family and tagged parenting. After I had several children I realized something. When one of my children struggles with something, it is possibly a reflection on my parenting. When a few of my kids struggle with an issue, it is probably due to my lack of training or consistency. Right now my boys are really struggling with picking up toys right after they play with them… yep, I have not been consistent enough there, and I need to be more intentional. The same rule is true for positive traits. All of my kids LOVE to read and look at books. This is something I took great effort to foster in them. I can take a little credit for that in my kids. Another area my kids have done amazing at is the potty training phase. I have potty trained three boys… all by 27 months. My oldest son began potty training at 26 months. He nailed it. Finally--his strong will was helping me in an area! He was motivated, and it was a breeze. I assumed my second son would be more challenging. He has always been the one that likes to drag his feet a little on milestones. He is just more laid-back and doesn’t usually feel the need to prove himself. However, he was showing some interest at 25 months, so we gave it a try. I was blown away at how quickly he picked it up. My third son was 23 months when we tried to potty train him. He exited the womb wanting to be like his big brothers, so it was a quick process. 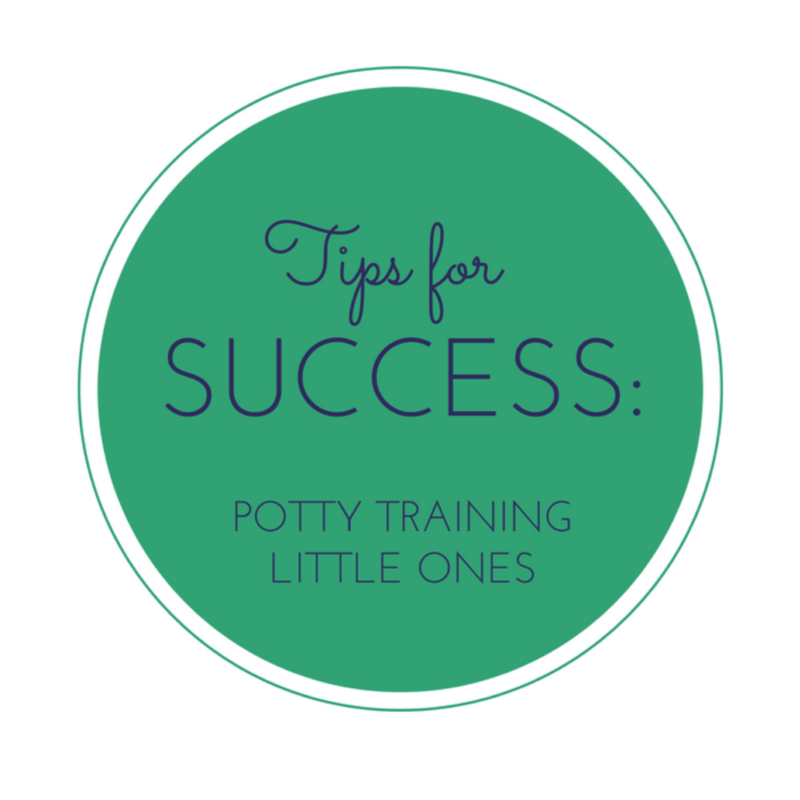 *This is not a “How To Potty Train” post, but rather a resource as you are compiling ideas. I don’t know exactly why this was so successful for me, but I can tell you what I consistently did that seemed to help my kids. Start “potty training” way before they are ready. One way I prepared my kids was unintentional, but extremely effective. I used cloth diapers. If you’re reading this, it’s probably too late for you to jump on that train, but it worked really well for us! Cloth diapers don’t stay as dry as disposable diapers, so these kids love the feel of the dry underwear. It makes them very motivated to stay dry! This next tip will sound weird…. but for awhile before I started potty training my oldest, I would “encourage” my husband when he went to the bathroom. He would leave the room, and I’d say things like “Good job listening to your body, Daddy!” Then Lincoln was really excited to be like his daddy in this way. Set proper expectations. This will be hard. Even if it’s only hard for 3 days, it will most likely be a hard three days. There will be stain treating, accidents, and you’ll probably question yourself. With that said, don’t add any chaos to that recipe. Clear your calendar for the week as much as you can. Put your phone away. Be all there. You will be more successful if you aren’t distracted by other commitments. If possible, ask for help with your other kiddos. Be ready for lots of quality time! Be prepared with activities. Gather age-appropriate puzzles and games, and play dough. You may be thinking--Ewwww! Play dough in the bathroom?!?!?!? Some people prefer to camp out in the bathroom for a time. I actually got a large tarp to cover my living room floor so we could do life while my little guy was learning. This was largely due to the fact that I did not have a bathroom on my main floor… so you take your pick. I did really like that we had plenty of room for playtime while he was sitting on his little potty. Maybe you’re still thinking I’m gross, but I stand by my choice… and my essential oil disinfectants! Also consider renting some potty training videos from the library. I allowed a lot more screen time than I usually did to make sure my son stayed on that potty! Water, snacks, water, juice, and more water! You will be pumping that kiddo full of fluids so they can be successful. The more they drink, the more they need to go, and the quicker they understand the connection. Have a reward system in place. I bought fun underwear for my boys to start the process, but I also started a sticker chart. They needed something tangible to see their progress. I discovered a tricky part right away with this, however. Do I give a sticker for staying dry for a certain amount of time, or for going in the potty? Both are reward-worthy. My middle son can hold his bladder much longer than my other kids. I didn’t want to punish him for it. I decided I would reward him for every half hour that he stayed dry as well. To be honest, I can’t remember what my kids got when they filled up the sticker chart…. I think they were pretty excited about the stickers themselves! Whatever it is, you don’t want to make it too amazing because you want them to be intrinsically motivated to keep up the pattern. Foster an atmosphere of family encouragement. If you have older children, make sure they are supportive. Let them share how why they like being a “big kid” now. Also, commit to staying positive. It is important that you don’t shame your child when they aren’t successful. Be ready to explain something that was hard for you to master right away. Have a Scripture to meditate upon. Ephesians 4:1-3 says, “I therefore, a prisoner for the Lord, urge you to walk in a manner worthy of the calling to which you have been called, 2 with all humility and gentleness, with patience, bearing with one another in love, 3 eager to maintain the unity of the Spirit in the bond of peace.” Sometimes this is my challenge to myself when I’m in a tense parenting moment. If I can allow the Holy Spirit to reign in my flesh, and walk with humility, gentleness, patience and love, I know I have been successful. Write your verse where you can see it so you remember to be gracious even when you are exhausted or frustrated. I encourage you to ask friends and family for tips before you begin. You want to start out well-informed so you can be faithful! Godspeed, Mamas! You got this! Posted on May 30, 2018 by Stephanie Hickox and filed under Building Your Family and tagged parenting encouragement. I didn’t know about everything that would come with it. I knew about dirty diapers and doctor visits. I had an idea about science fairs and sleepovers. I looked forward to bedtime stories and notes tucked into lunchboxes. But I wasn’t prepared for you. Not really. How can you ever be prepared for the raw, unadulterated excitement over dandelion wishes and lightning bugs and tooth fairies? Over mud puddles and empty cardboard boxes and cookies shaped like animals? Over blanket forts and snow days and taking off the training wheels? You can’t. You might think you'll be prepared, but you won't be. You might think you know, like I thought I knew; but the truth is, you won’t know and can’t know until you are in it. This joy can't be described like what you had for dinner last night or what you bought on sale last week or what you wanted to be when you grew up when you were in kindergarten. It would be like trying to explain how you feel when you look at the stars and how small you feel in comparison and how big God seems in comparison and how you could almost reach up and stick one to your finger and pull it down from the sky and wipe it on your jeans. But then there's SOMETHING ELSE. Something else that comes with the Valentine's boxes made from cereal boxes you had to empty into Tupperware because you forgot until the night before, and the ever-present bag of outgrown clothes you keep meaning to take to Goodwill and then you finally do but then there is another bag filled up already. There is something else, something you don't hear about at baby showers. That SOMETHING ELSE is the very hardest heartbreak of having to be the bad guy, make the tough call, be the better man, take the higher road, take the heat, bear the load, shoulder the burden, keep them safe, keep them healthy, but eventually LETTING THEM GO. Nothing can prepare you for that. Sure, you'll dream and you'll plan, but one day you'll find yourself IN DEEP, and you'll realize you didn't know anything before. You will learn as you go. You will get up and try again. Every. Single. Day. Some days it will come without effort, like soaking up sun while lying in the sand and listening to the ocean relentlessly roll towards your toes. Other days it will come with all the force of a bulldozer in a forgotten part of town, knocking you down and breaking you into crumbles to pave the way for something far better. I knew my own life was going to be changed forever, but I had no idea it was going to be CHANGED FOREVER. I was totally unprepared for the task that was laid before me. I was completely incapable of doing things the way I had dreamed about doing them before. I realized this, and it was freeing and humbling and a little sad but mostly much better. So to my greatest hardest things - to you, my children - know that you are loved, that you are worthy, and that you have made me a better me by simply being you. And know that if you should ever find yourself looking down into eyes that look to you for everything, you will be totally unprepared for what you see. You will see me, you will see yourself, you will see God. You will see the past they've only heard about, you will see the future they can't imagine, and you will see beauty even when they can't see it in themselves. And they will become your greatest hardest things. Posted on January 22, 2018 by Beth Cullett and filed under Building Your Family and tagged parenting. When I was a younger mama and my sweet Kate turned two, my life was thrown upside down for a time. I was awakened to the reality that she did not respond to discipline the same way that Addy, my firstborn did. I was in a bit of a quandary because Addy was turning 5 at this point and I had just “figured out” this whole parenting, discipline thing (or so I thought...insert laughter here). My first line of defense when I realized this in disciplining Kate, was to just press in harder with the same discipline style I had with Addy. I theorized that since she was a harder baby than Addy and reacted and responded differently to discipline, it would naturally take more work on my end. As I continued down this path, it did not bode well for Kate or me. It took me some time to understand that parenting Kate was going to require a different approach in methods and principles of discipline because she did not fit the same mold as Addy. In essence, I was going to need to relearn how to parent. I wish I could say I had an instant epiphany and I relearned and changed my parenting patterns quickly. But alas, that was not the case. I, as a parent, had developed habits and patterns in the way that Addy responded to discipline and carried that over into parenting Kate. It took me a long time to break those habits. Please don’t misunderstand me, the godly principles and methods I had learned in Entrusted were my anchor through it all. However, I began to grasp that my approach in these principles and methods had to be different with Kate because she was different than Addy. When I finally did concede and understood it was okay to parent differently with Kate, I was able to experience so much more freedom as a mother. Our home began to balance out a bit more and we started down a new path. God has created each child differently and every family will have somewhat different examples of what it looks like with their children. For example, one of our girls would nearly melt if we even gave her a stern look and she would do anything we ask because she had a high need to please us; she was very compliant. Our other daughter was a little more strong willed and we found the stern look did nothing. We needed to use a different approach for training her in obedience. Every morning, we have a fresh start! How gracious is our God! We can start over and with His strength, press into what He has for us each day. The women that God placed in my life as a young mother will always hold a piece of my heart. They were, and many still are, speaking into my life as a mom and that to me, is priceless. God has created us to be in community. In that community we experience and live life together. If I can encourage you in any way sweet mamas let it be this: Don’t lose heart in the journey of parenting. God has given you the incredible responsibility and joy of being a mother. He has prepared each one of you for the task. Each child you have is different, so give yourself permission to approach parenting and discipline according to your child’s need. Stay grounded by those who have gone before you and hold those godly principles and parenting methods close. Blessings to you on this journey; you are not alone. Posted on September 20, 2017 by Amy Zurowski and filed under Building Your Family and tagged parenting discipline. 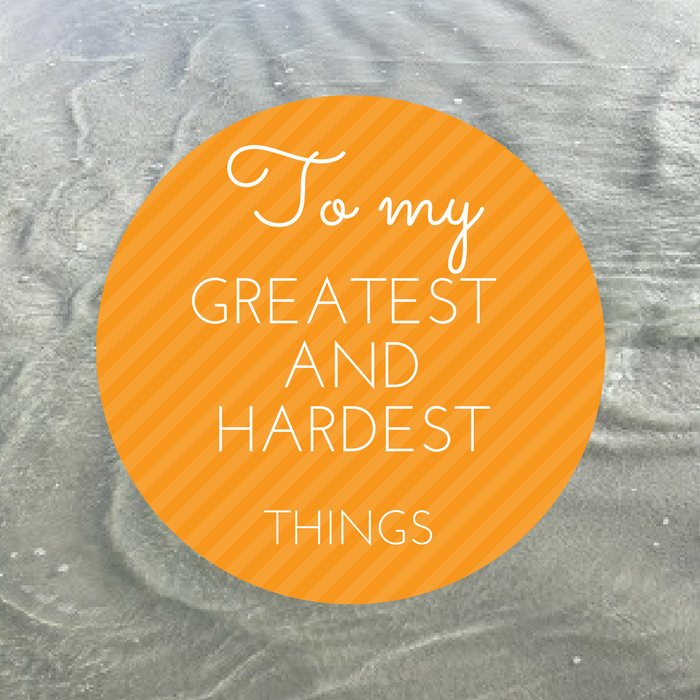 The last few weeks have provided many reminders that parenting is not for the faint of heart. My three girlies have just finished their fourth week of school. My eldest started 8th grade, middle started 5th grade and my little started all day kindergarten! Hard to believe we are four, almost five weeks in! It has been a bit of a rough re-entry into school world; which has then spilled over into our home world. All this to say, school brings a whole slew of new adventures: drama with friends (oh yes, it can even affect the child who has never had it), homework, papers, lack of sleep, a smidge of crankiness (kids, and yes, even this mama), swim, volleyball, piano and voice into an already loaded school schedule. I’m exhausted from even writing that out! So, with all the adventures school and schedules provide, what does it look like to stay intentional with our kiddos on a daily basis? One way I have chosen to stay intentional with my girls is by speaking truth and life into and over them each morning before school. I adopted this form of intentionality after hearing a prominent woman in leadership, whom I greatly respect, explain how she did this with her children. Her backstory for creating this was from Judges, a book in the Old Testament. It’s about the story of Gideon in chapter 6. Here is a quick history lesson. These verses are important because the angel of the Lord was speaking into who Gideon was going to become. When the angel appeared to him, he was not a mighty man of valor. In fact he was hiding from the Midianites in a winepress, beating out wheat because the Israelites were being oppressed by them. Hardly a mighty man of valor. Yet, God chose to speak truth through his angel as to what kind of man he was going to become. The story continues on to explain that Gideon would help save his people from the hand of Midian. God showed His miraculous power in this by taking the 22,000 men who were going to help fight the Midianites and bringing that number down to 300 and only then were the Midianites defeated! God spoke and worked through Gideon and the truth of who he was going to become was revealed. He became a mighty man of valor by God’s grace. The story of Gideon is a powerful, real life example of a truth we can apply even today. I’ve adapted this principle (after hearing from the woman I mentioned, and the story of Gideon) by speaking into my girls according to their needs and things that I see in them. Our children are inundated with outside influences and lies each day from the world we live in. Shouldn’t we as parents be the ones daily setting their minds and hearts right with godly principles and godly character as to who they are and who they will become? So what does it look like to speak into and over our children? I’m so glad you asked! First off, there is no exact formula. Every child is unique and you will need to adjust it according to their needs. Secondly, I incorporate Scripture, godly principles and our hopes and dreams for them. Thirdly, I have my girls stand in front of me, one at a time and have them look me in the eye and repeat back what I am saying. My girls were a little awkward when we first started. Okay, I’ll be honest, it was awkward for me as well. However, we pushed through and before long they were wanting to speak back into me. (Talk about melting your heart.) So why not give it a try? You might be blessed in return as well! We are going on four years of this morning habit before school and I trust and believe what they hear and repeat back will continue to settle deep within their souls. I hope this has encouraged your parenting hearts a bit. I know for me, it was life-changing to know I was speaking godly truth and principles into and over my children on a daily basis. My heart’s desire is for my girls to be influenced by truth and not by the lies that are fighting against them every day in this world. Although our schedules and routines are full every day this is one way we can capture and reset their minds each morning. Blessings to you in your parenting journey. Posted on August 24, 2017 by Amy Zurowski and filed under Building Your Faith and tagged encouragement parenting.